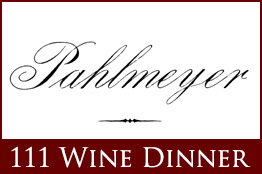 Jayson Pahlmeyer has been producing highly sought-after wines since 1986. It began with Jayson’s dream to make world-class Bordeaux-style wine from Napa Valley. Pahlmeyer’s estate vineyard – Waters Rance – is situated at 2100 feet in the Atlas Peak appellation of Napa Valley. It is the key source for their Cabernet Sauvignon, Merlot, Cabernet Franc, Petit Verdot, Malbec and Chardonnay. Jayson’s passion eventually led him to the Sonoma Coast, where less than seven miles and two ridges from the Pacific Ocean, he planted Wayfarer Farm, their key source for Pinot Noir. 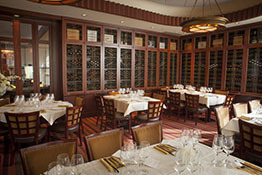 Four course dinner and wine pairing at 6:30 pm. 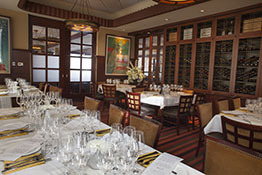 The wine will be paired with food creations from 111 Executive Chef Doug Gavaletz. There are currently 11 seats still available for this event. 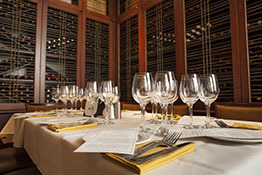 Should you require to cancel your reservation for a wine dinner, we will credit you toward another wine dinner or provide a Worcester Restaurant Group gift card of equal value. Please provide as much notice as possible (one week’s notice recommended). Our wine dinners are limited to 36 seats, and demand is quite high. Thank you very much for your kind understanding and we look forward to serving you soon.